Venice is known as one of the most scenic and romantic cities on the planet. The city on a lagoon in Italy is surrounded by water, and it is a richly historic destination. Although Venice is only home to about 250,000 full-time residents, it is visited by over 20 million visitors every year. The history of Venice stretches back to the second century, although its true pinnacle was perhaps in the 14th century, when the independent city state of Venice was the wealthiest spot in all of Europe. Venice is broken up into districts called Sestieri, each of which has a unique character, history and appearance. Getting between these Sestieri is very easy for a number of reasons. 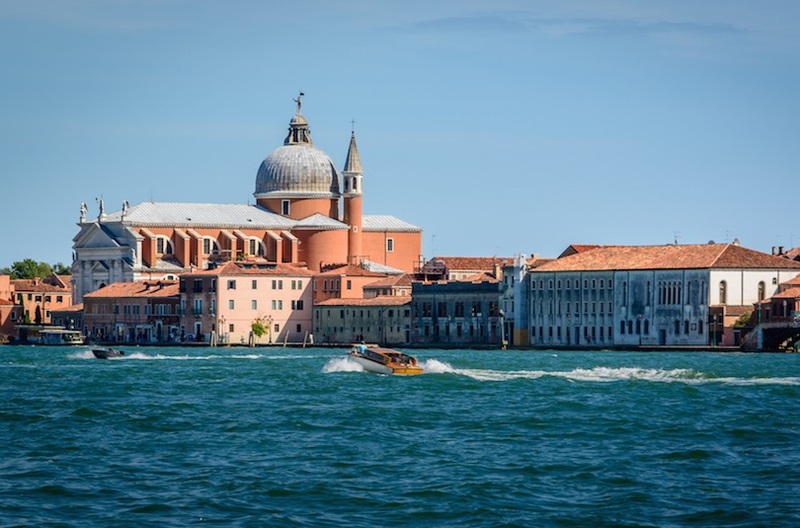 First, Venice is not a particularly large city, although it is packed with attractions. Second, there are countless transport options for visitors. There are no private cars, so you’ll rely on vaporetti, or waterbuses, water taxis and private gondolas to get around on the water and see as much of Venice as possible. When finding a hotel in Venice, there are lots of things to consider. For many travelers, a view of the water is key. Thankfully, this isn’t hard to find since the city is on a lagoon and surrounded by water. Also important may be proximity to major attractions, which tend to be found in the district of San Marco. 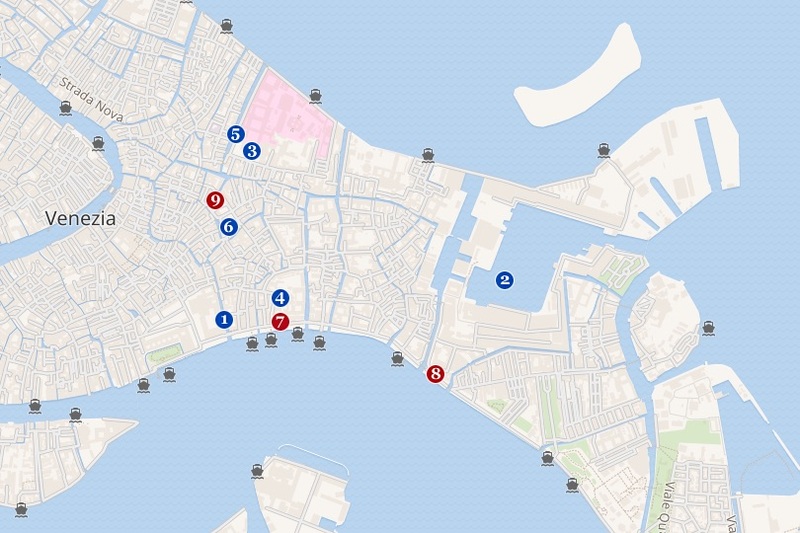 Keep in mind that some of the accommodation in Venice will actually be located on islands off the main city. While there are plenty of transport options to get you to and from these hotels, some travelers prefer to be able to get around on foot. 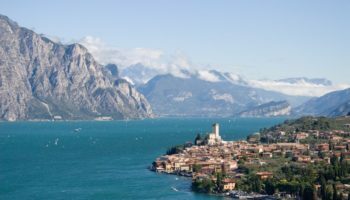 Why Stay in the San Marco area? At the very center of Venice is San Marco, the district that is home to the largest number of tourist attractions, museums and monuments. Day trippers who visit from the mainland of Italy gravitate toward San Marco, and there is no end to the things that you’ll be able to see, do and explore in the area. Arguably the biggest attraction in San Marco is the Piazza San Marco, which is where you’ll find the incredible Saint Mark’s Basilica and its gilded bronze horse sculptures, the Bell Tower of St. Mark and the Palazzo Ducale. In San Marco, there are photo opportunities at every turn. If you want to hit the highlights as quickly as possible, then this is the district you’ll want to stay in. Since San Marco is on the Grand Canal, it is also a convenient district for those who want to explore the rest of Venice. Catching a gondola or a water taxi is a breeze throughout San Marco. This is the district where you can shop for glass souvenirs, spend the evening enthralled by a performance at the historic La Fenice Opera House or walk across the iconic Rialto Bridge. If you’re searching for a five-star travel experience, San Marco is also the district with the greatest number of high-end hotel choices in all of Venice. 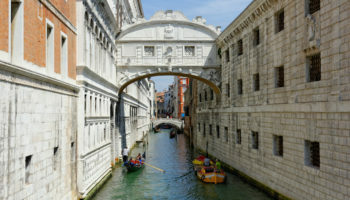 1 Bridge of Sighs – Spanning the Rio di Palazzo, the bridge was intended to connect the Old Prison and interrogation rooms in the Doge’s Palace to the New Prison, which was situated directly across the river. 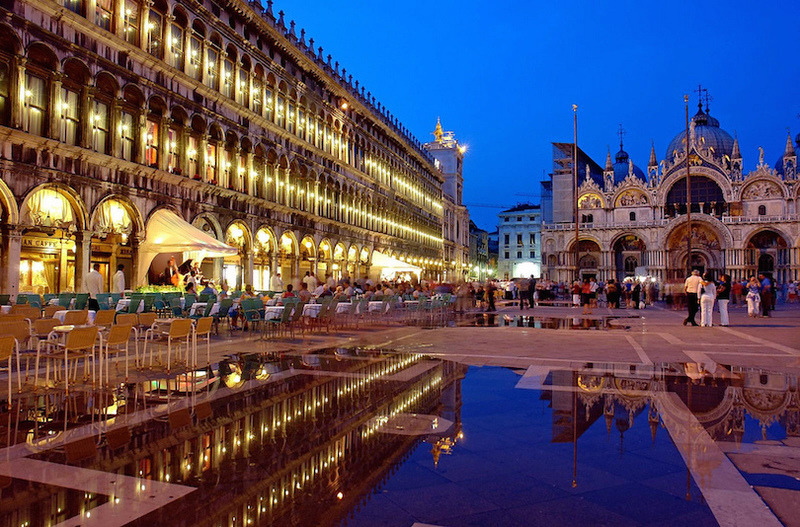 2 Piazza San Marco – Venice’s principal square is full of history and surrounded by great architecture. Several of Venice’s major sights are located here, so the square is often crowded with tourists. 3 Doge’s Palace – One of the most important buildings in Venice. It was the center of power, from where the Venetian Republic was ruled. 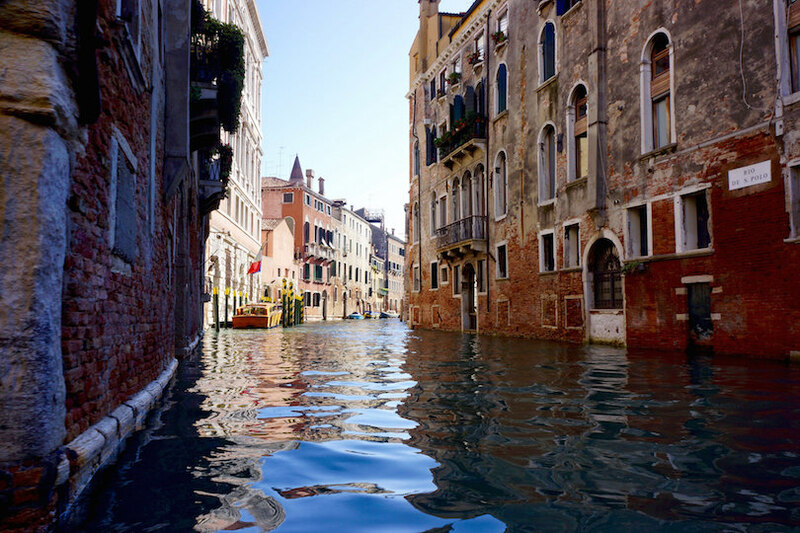 4 Grand Canal – The major water-traffic corridor sweeping through Venice, also known by Venetians as Canalazzo. 5 St. Mark’s Basilica – The most famous and most recognizable of all the churches in the city of Venice. Built in the eleventh century, its design mixes eastern and western building styles in a unique way. 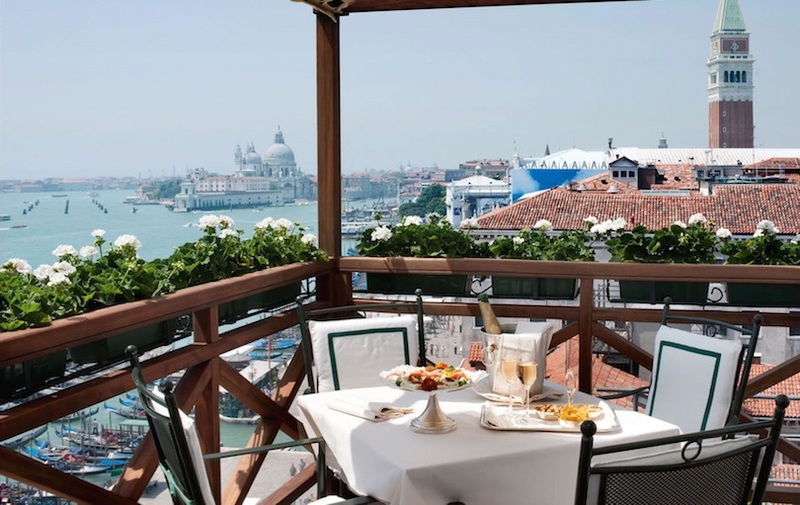 6 The Gritti Palace – When art, great views and luxury are your priorities, staying at the Gritti Palace is a must. The hotel is located on a stretch of the Grand Canal that is said to have the prettiest views in Venice. You can take them in from the waterside terrace dining area. It’s located in a 15th century palazzo where a doge of Venice once lived. The property was recently restored, keeping some of the building’s original features, like wooden ceilings. Even the old paintings that adorn the 82 guest rooms were restored. 7 Hotel a La Commedia – There’s a reason why the La Commedia is decorated in muted colors that exude an elegant ambiance. The hotel is located in one of the busiest sections of Venice. After seeing the historical sites and shopping ‘til you drop, you’ll want to unwind in peaceful luxury, either in your room or the rooftop bar where you can enjoy Venice after dark. The Hotel a La Commedia only serves breakfast, but many restaurants are nearby. 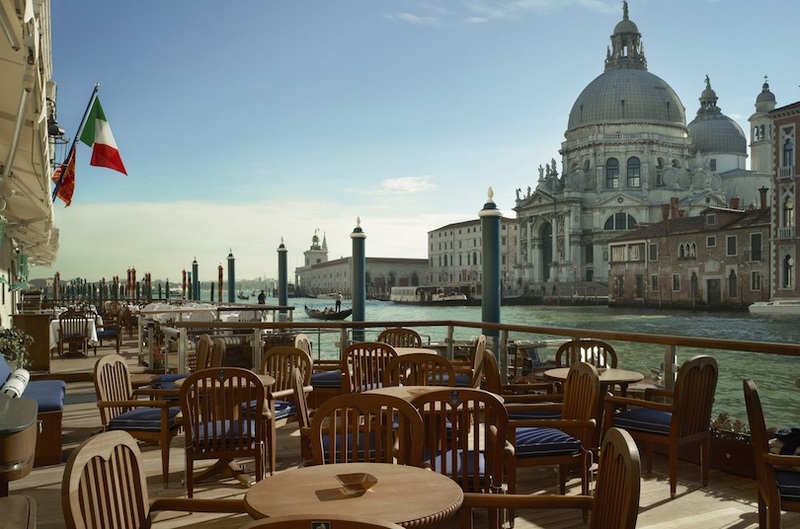 8 Starhotels Splendid Venice – While you can access the Starhotels Splendid on foot, why not make a grand entrance and arrive by watercraft at their private dock? The hotel is located close to designer shopping, in a restored 18th century building. While the exterior may be old, the interior isn’t. It’s furnished with a contemporary Italian feel. It has a rooftop bar and a waterside restaurant for casual meals. The hotel accepts pets with advance arrangements. Because of the incredible array of landmarks and attractions in San Marco, it is the hub of tourism in Venice. Very few Venetian residents live in this area, and it can feel commercial rather than authentic. 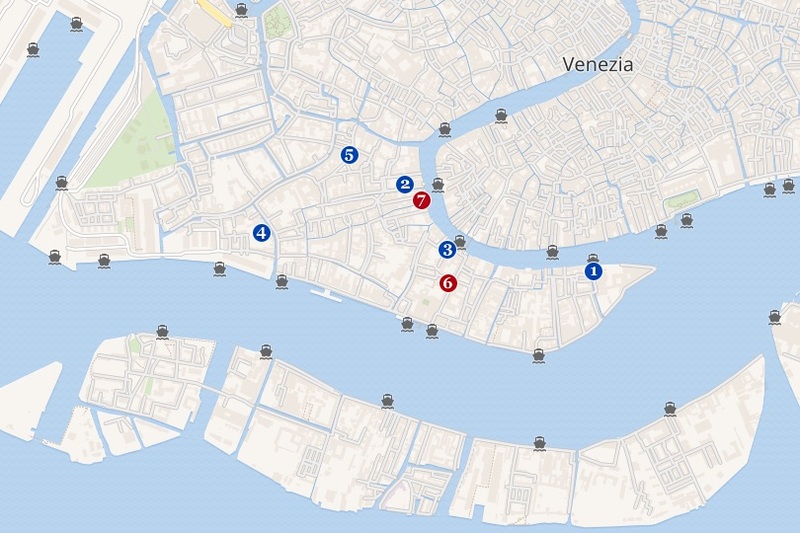 San Marco is also undoubtedly the most expensive district in Venice to find a hotel, a restaurant or a souvenir shop. 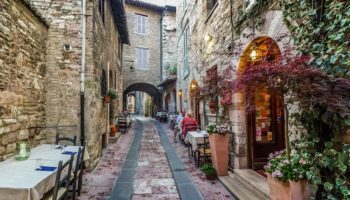 Those in search of romantic, quiet walks at sunset or cobblestone streets free from crowds may prefer to stay in a different district of the city. Just like San Marco, Cannaregio is on the banks of the Grand Canal, but it is slightly less crowded. Cannaregio is a fantastic spot to explore if you’re a history enthusiast, because the district is filled with historic landmarks. Of particular note is the Jewish Ghetto, which is home to the Jewish Museum. Along the banks of the Grand Canal, Cannaregio boasts a variety of eateries and access to water transportation. 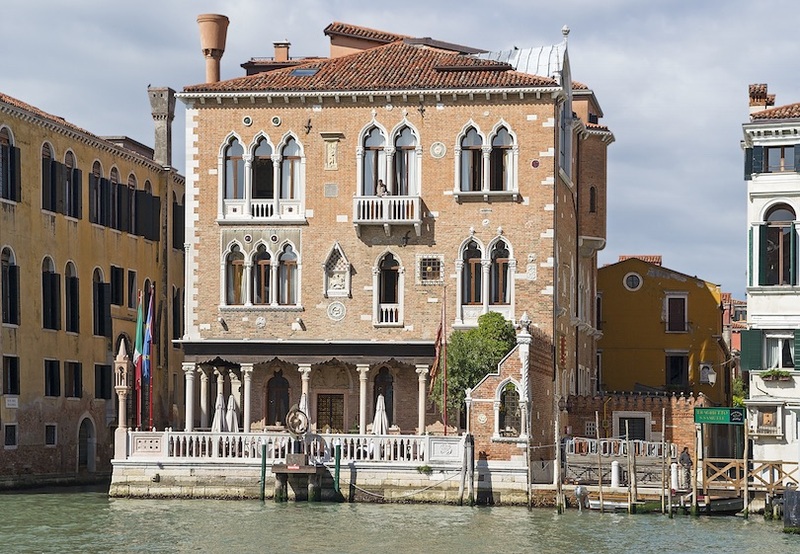 While in Cannaregio, one of the top things to do is explore the incredible Ca d’Oro, a Venetian palace that is open for self and guided tours. Nearby, you could admire the Renaissance art and architecture of the Church of Santa Maria dei Miracoli or spot the artist Tintoretto’s burial place, the Church of Madonna dell’Orto. 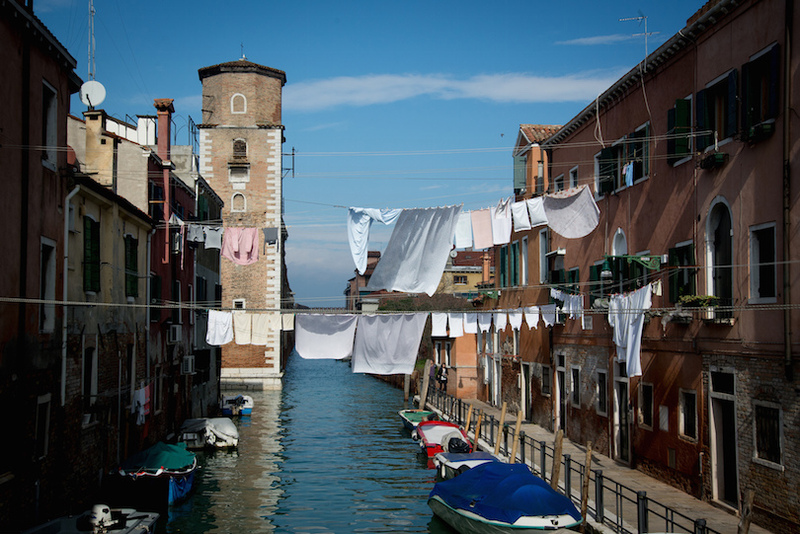 Further from the Grand Canal, Cannaregio houses roughly one-third of Venice’s population. That means that you’ll have an easy time finding grocery stores, dry cleaners, banks and other necessary amenities to enhance your trip. Cannaregio can also feel like an authentic view of Venice, but it still just a 15-minute walk to the major attractions in the neighboring district of San Marco. 1 Venezia Santa Lucia – The main railway station in Venice. 2 Ca’ d’Oro – A collection of paintings and statues in a former palace from the 15th century. One of the best examples of Gothic architecture in Venice. 3 Santa Maria dei Miracoli – A perfect jewel box church, simple in form but ornamented with fine exterior marble facings. 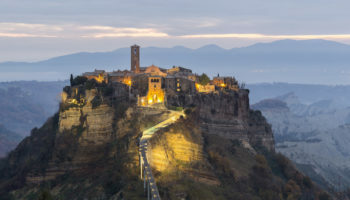 4 Madonna dell’Orto – Erected by an Italian religious order known as the Humiliati, the Madonna dell’Orto church was constructed in the middle of the fourteenth century. 5 Venetian Ghetto – The neighborhood in Venice that gave the world the word ghetto is today a quiet area surrounding a large campo. It is home to Jewish institutions, 2 kosher restaurants, a rabbinical school, and several synagogues. 6 Al Ponte Antico Hotel – The Al Ponte Antico Hotel may be small, but this historic hotel packs a lot into it. The hotel has only seven rooms, which can only be described as opulent. Antique furnishings, floor to ceiling draperies and ornate wall coverings ooze the luxury of a bygone era. To keep you connected with today, however, free Wi-Fi is offered in the soundproof guest rooms. 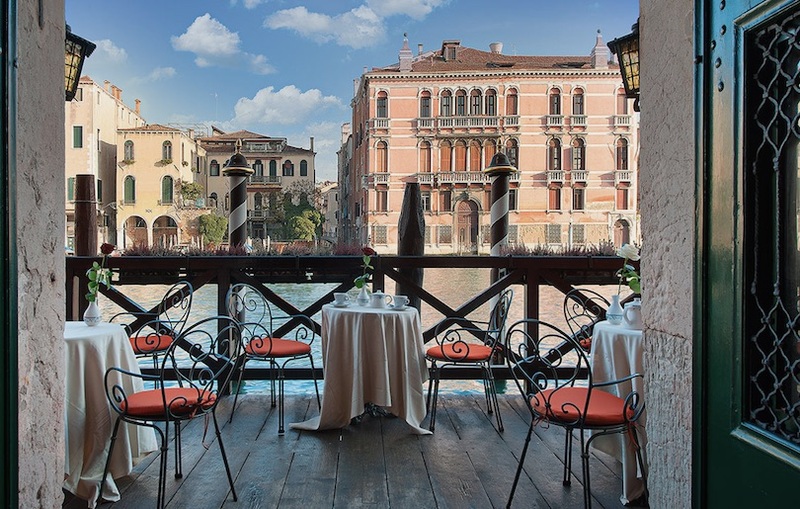 Plus, you’ve got great views since the hotel overlooks the Grand Canal. It’s within walking distance to major sights, including the Rialto Bridge and St. Mark’s Basilica. 7 Ai Mori d’Oriente Hotel – If you’re looking to stay in an historic setting, the Ai Mori d’Oriente Hotel could be what you’re looking for. It’s situated in a 15th century palazzo. 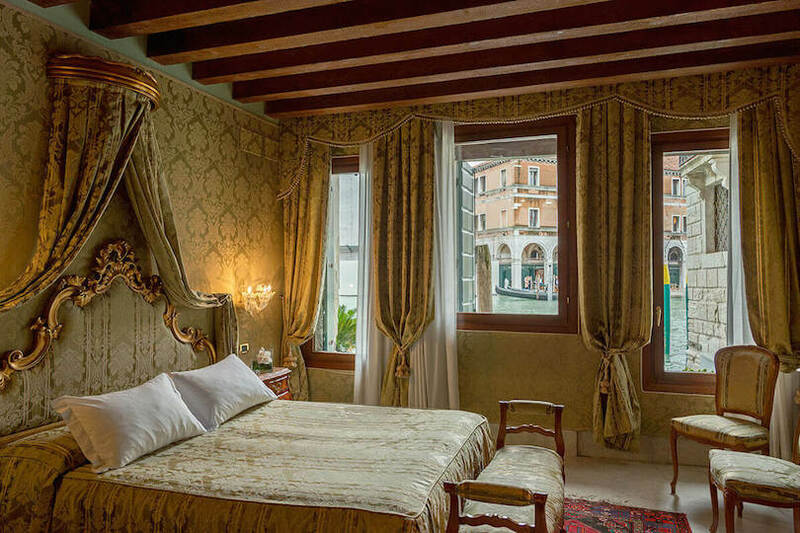 The stylish rooms feature Venetian-Moorish décor; some overlook Venice’s famous canals. The hotel is small with only 21 rooms. A cold breakfast buffet is included in the room rate. The hotel has a bar but no restaurant onsite, though several are located nearby. You won’t want to stay in Cannaregio if you have your heart set on waking up in the morning and seeing iconic landmarks right out your window. 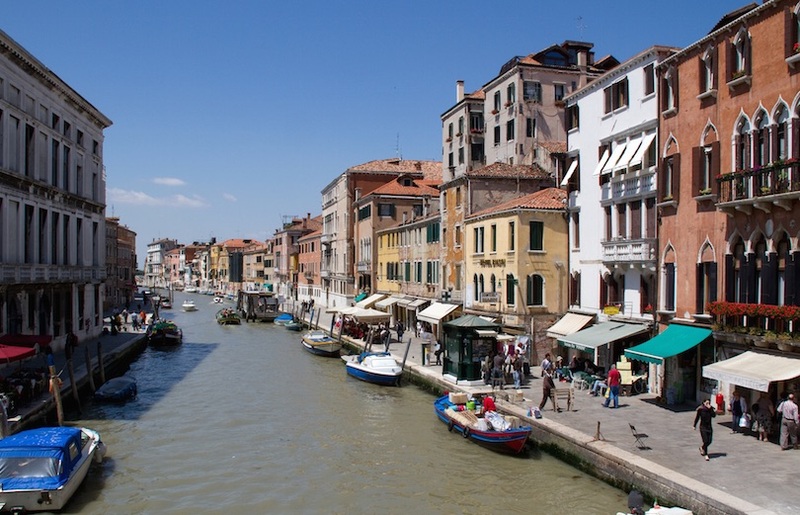 Parts of Cannaregio can be expensive, particularly those closest to the Grand Canal. Castello is a district that blends the best of both worlds. Castello borders both San Marco and Cannaregio, putting it just steps from major tourism attractions. It lies directly east of the Piazza San Marco, and the area is full of five-star accommodation. The Castello also happens to be the largest of all the Sestieri in Venice. A major attraction within the district is the Venetian Biennale, a cultural institute in the city that hosts art and architecture exhibitions. Castello is a fantastic spot for anyone who wants to explore Venice to the fullest. 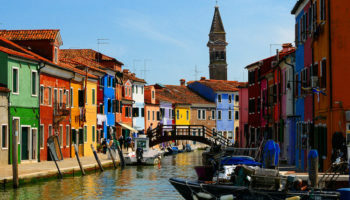 Not only will it be possible to walk to major attractions, but there are plenty of ferries to take you to nearby islands like Murano and Burano. The district is also home to two spectacular churches: The Basilica of Santi Giovanni e Paolo and the Church of San Zaccaria. In the Basilica of Santi Giovanni e Paolo you’ll be able to tour the final resting place of 25 doges, and at the Church of San Zaccaria you can see an art collection that includes the likes of Van Dyck and Tintoretto. 2 Arsenale – Now a naval base and technology center, Venice’s Arsenale was the largest shipyard in the world. It played a major role in the city’s naval warfare since the early twelfth century. 3 Santi Giovanni e Paolo – A fine, huge Dominican church with the tombs of many Doges. It shares its piazza with the fine Renaissance façade of the Scuola San Marco and an equestrian statue of the mercenary Bartolomeo Colleoni. 4 San Zaccaria – Home to an amazing collection of artwork by some of Italy’s best artists, the church of San Zaccaria is one of the most photographed ecclesiastic buildings in Venice. 5 Scuola Grande di San Marco – The Scuola Grande di San Marco was one of the six confraternities or Catholic lay organizations, that had an important presence in Venetian religious, civic, and cultural life. 6 Santa Maria Formosa – Allegedly built by bishop Saint Magnus in the early times of the foundation of Venice. Legend says after he had a vision of Saint Mary as a beautiful woman (Formosa means beautiful in Latin) ordering him to build her church. 7 Hotel Londra Palace – The Hotel Londra Palace is an historic white marble building overlooking the Venice Lagoon. It has a graceful, elegant and luxurious feel throughout, including the 53 guest rooms. Décor centers around 19th century Beidermeier furnishings. 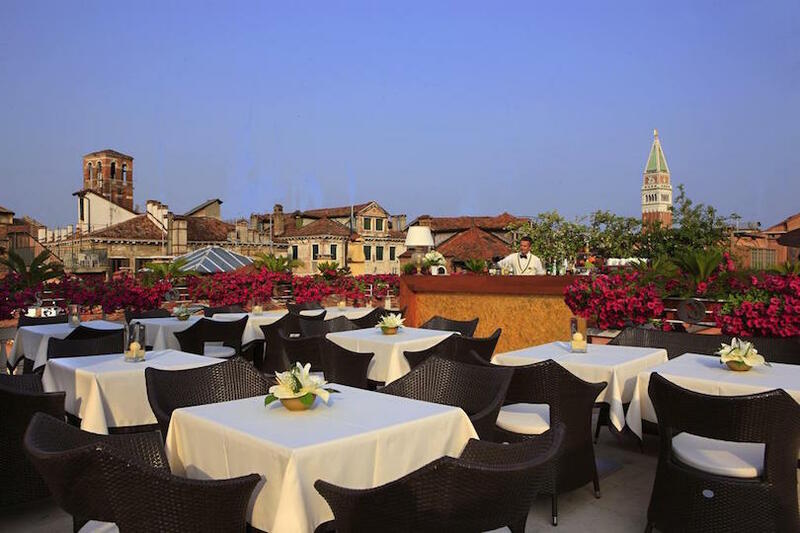 The hotel is home to one of Venice’s more well known restaurants, specializing in local cuisine. An added bonus is the restaurant view that lets you watch gondolas glide across the lagoon. It’s within walking distance of major Venetian sights. You can take a water taxi directly from the airport. 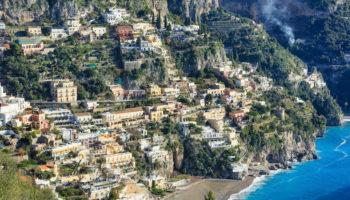 8 Hotel Bucintoro – If being close to the water is important when you’re choosing accommodations, the four-star Hotel Bucintoro may be just the place for you to stay. This nautical-themed luxury hotel is right on Saint Mark’s Basin. Many of the 20 rooms have water views so you can watch all manner of watercraft sail by; other rooms overlook the sights of Venice, with major landmarks less than 15 minutes’ walk away. Guest rooms are comfortable and elegant; a buffet breakfast is included in the room rate. 9 Ruzzini Palace Hotel – The Ruzzini Palace is housed in a former 16th palace belonging to one of Venice’s most important families. The latest remodeling takes the charming building back to the days when Ruzzinis lived here. Located on a canal, the Ruzzini Palace Hotel has a water entrance. Inside, it showcases the paintings of 17th century artist, Gregorio Lazzarini. The hotel has 28 rooms, some of which have high ceilings and paintings on them. The large rooms are filled with antique furnishings. The further away from the border with San Marco you are, the more Castello can feel authentic. However, there is a grittiness that might not appeal to those who come to Venice for the beauty. 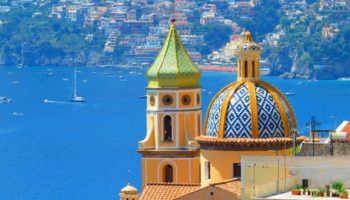 While some may enjoy dining at local pizzerias with locals or watching kids play soccer in the center of the piazzas, others may long for more upscale restaurants or high-end souvenir shopping opportunities. 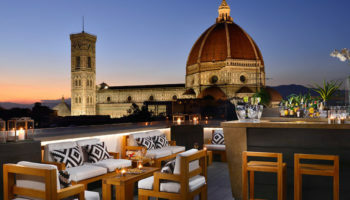 Why Stay in the San Polo & Santa Croce area? One on side of the Grand Canal, there are districts like San Marco and Cannaregio. On the opposite side of the canal is San Polo and, behind it, Santa Croce. There are four bridges that span the Grand Canal, so there is pedestrian access to many of the biggest attractions in the heart of Venice. However, San Polo and Santa Croce certainly offer their share of culture, history and architecture. Step off the Rialto Bridge into San Polo, and it can feel like an extension of San Marco. Expect lots of buzz around the Rialto Market, where shoppers have found octopus, squid and produce for sale for a staggering seven centuries. This district is also home to the stunning Santa Maria dei Frari, a fourteenth century cathedral built in the Italian Gothic style. A short walk away, you’ll come to the Campo San Polo, the piazza that also serves as the heart of the district. Walk further from the Grand Canal, and San Polo blends into its neighboring district of Santa Croce. Time seems to slow down here, as fewer and fewer tourists are spotted and a more authentic side of Venice appears. Beautiful, centuries-old buildings line the streets, and peeling paint highlights that these structures are local homes rather than upscale hotels. Small vendors selling fabrics and handicrafts are a less expensive alternative to the typical souvenirs found for sale throughout the city of Venice. 1 San Giacomo dell’Orio – Built sometime before the 10th century and renovated a couple hundred years later, this ancient church contains evidence of all of the historical periods it’s lived through. Inside you’ll find a gorgeous green Byzantine marble column that was probably stolen from Constantinople. 2 Rialto Bridge – Probably the most photographed bridge in Venice, the Rialto Bridge was the only way to cross the Grand Canal on foot for nearly 300 years. 3 San Giacomo di Rialto – This church is possibly the oldest church in Venice supposedly built around 421. It is most recognized for its 15th century clock above the entrance. 4 Santa Maria Gloriosa dei Frari – The big friary church, a fine example of Venetian Gothic architecture, features monuments and paintings of Titian, Bellini and Donatello. 5 Campo San Polo – Only Piazza San Marco is larger than this square. Campo San Polo once hosted bull races, fairs, military parades, and packed markets, and now comes especially alive on summer nights, when it’s home to the city’s outdoor cinema. 6 Hotel Moresco – Pick an occupation you might have worked in, in years gone by; blacksmith, gondolier, poet or sailor. Hotel Moresco has a room for you. Each of its 23 rooms is named for a bygone occupation. Though they sport more modern furnishings, each room is unique; some have canal views. The hotel is located in a quieter area, but easy to get to where the action in. The tranquil hotel has a walled in garden with sun deck and a library with books for you to read. 7 Hotel Antiche Figure – The Hotel Antiche Figure is a boutique hotel located in a charmingly restored 15th century palazzo. With just 22 rooms, the four-story hotel conveys an intimate feel in its décor; some rooms are ornately decorated, others are more subdued. 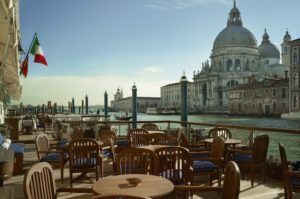 It’s located on the Grand Canal; the Garden Bar offers outdoor tables where you can enjoy a snack and a relaxing beverage. The hotel has an indoor breakfast room, but no major restaurant inside; many are available nearby. 8 San Cassiano Residenza d’Epoca Ca’ Favretto – The San Cassiano Residenza d’Epoca Ca’ Favretto is located in another of Venice’s charming old buildings: a 14th century private home that later was home to Giacomo Favretto, considered one of Venice’s greatest 19th century painters. Both these eras are combined in the boutique hotel’s look. The public areas are ornate and lavish, with lots of antiques and artwork. Ditto the 25 guestrooms, though some are simpler. It’s located on the Grand Canal where guests can watch gondolas go by from the waterside terrace. In hotels close to the Rialto Bridge and the Rialto Market, prepare for some of the most overpriced restaurants and souvenir shops in Italy. This blatant commercialism can feel a little tacky, and many travelers who seek authenticity will be turned off by the atmosphere. Further away from the Grand Canal, things get cheaper. 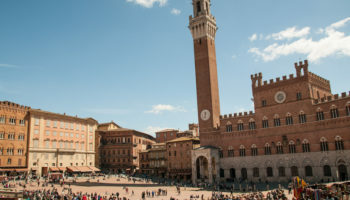 However, lower prices are also accompanied by Renaissance buildings covered in graffiti and a lack of international restaurants catering to travelers. Bordering San Polo, and across the Grand Canal from San Marco, is the district of Venice called Dorsoduro. As you step off the Accademia Bridge and enter Dorsoduro, you’ll be standing in front of two of the most important cultural and artistic institutions of the city. The first is the Peggy Guggenheim Museum, which has in its collection works by Pollock, Duchamp, Picasso, Kandinsky and countless others. The second major cultural landmark in Dorsoduro is the Galleria dell’Accademia di Venezia, which primarily contains work dating from the 18th century and earlier. To continue the art lover’s dream vacation, make your way to the Church of San Sebastiano, which is decorated by a series of works by Veronese as well as paintings by Titian and Tintoretto. Because of the abundance of art galleries and museums in the area, Dorsoduro has a reputation for being an artsy area, and it draws in art students, painters, sculptors and the avant garde from all walks of life. Dorsoduro is a popular place for young people to stay when visiting Venice. Part of this has to do with its bohemian charm, but a lot has to do with the district’s nightlife. Campo Margherita is a hub for late-night drinking and conversation, but the bars and even clubs are generally pretty laid-back. Travelers will appreciate that you can find a handful of bars with a relaxed atmosphere and affordable drinks served up until the early hours of the morning. 1 Santa Maria della Salute – A magnificent church which was built in the seventeenth century on a narrow strip of land near the Grand Canal. 2 Ca’ Rezzonico – This wonderful palace, that now houses the Museum of Venetian 18th century, was projected by Baroque architect Baldassarre Longhena, for the Bons family. 3 Gallerie dell’Accademia – Traces the development of Venetian art from the 14th to 18th centuries, with works by Bellini, Titian, Tintoretto, Veronese and Canaletto among others. 4 Church of San Sebastiano – Its contents make this church oone of the centers of Venetian art, conserving an extraordinary body of works by Paolo Veronese. 5 Campo Margherita – The true heart of the Dorsoduro neighborhood, full of bars and restaurants serving food and drinks even after midnight. If you are looking for late night bars and restaurants this is probably the best area in Venice. 6 Ca’ Pisani Hotel – You would get the impression from a written description that the Ca’ Pisani Hotel is a mishmash of architectural styles. Well, it is, but they seem to blend beautifully in this 14th century Venetian palace with its Art Deco interior, since it’s won design honors. Then, you enter the hotel’s bar, which has a futuristic décor. The hotel has 29 rooms, all furnished with pieces from the 1920s to 1940s. Some rooms are on two levels, with steep connecting steps. 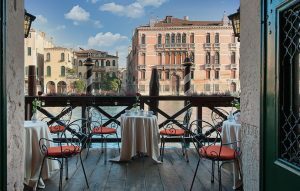 7 Hotel Palazzo Stern – Located on the Grand Canal in n restored palace, the Hotel Palazzo Stern reeks romance. The 24 rooms are opulent, with floor to ceiling draperies, ornate wall coverings and are furnished with antiques, all combining to create a romantic atmosphere. You can sip a glass of wine on the waterside terrace as you watch watercraft roll by on the canal. The hotel has a bar and café that offers room service. Accessible rooms are available but must be requested when making reservations. Dorsoduro is not the best place to stay if you’re looking for a family-friendly spot. The environment is better suited to younger travelers, and there may be too much noise at night for children. Right off the Accademia Bridge and the nearby museums, accommodation can be expensive. Foodies may steer clear of Dorsoduro because while there are plenty of low-cost food options, high-end culinary experiences are a lot harder to come by in the district. Just south of the central Venetian islands is Giudecca, a collection of four islands that was known as the height of luxury in the years before World War II. Since, it has lost some of its glamour, but that is quickly changing. Surrounded by blue water on all sides, the Giudecca is a beautiful spot for travelers in search of picturesque views and waterfront strolls. Since San Marco is across the water from Giudecca, it is possible to enjoy breathtaking vistas over some of Venice’s most iconic buildings. Giudecca is home to the palatial Palladio’s Il Redentore, which was built in the 16th century and still stands as one of the most beautiful and important of Venetian churches. Giudecca is a popular place for those who have already seen and explored the highlights of central Venice. This district feels homey and cozy, allowing you to experience the real side of the city that few tourists ever get to see. Affordability is another big draw, making Giudecca popular with those visitors in search of youth hostels or budget hotels. 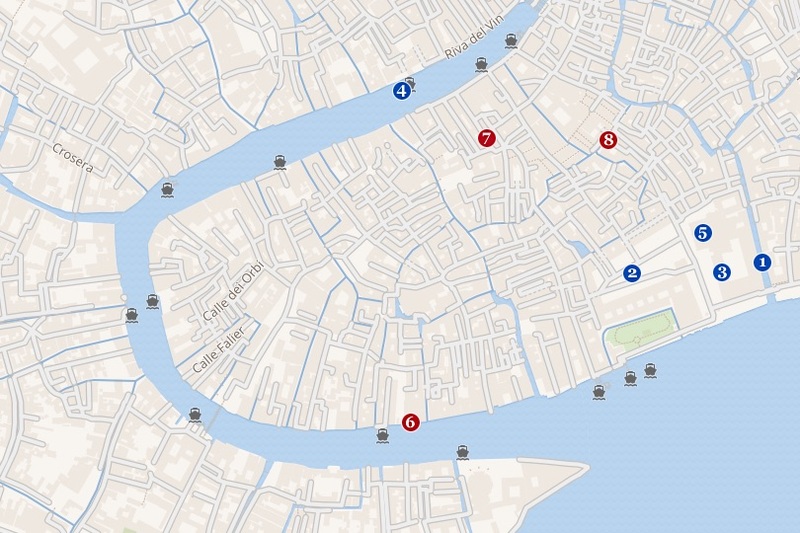 Transport is readily available, by water, to other Venetian districts. 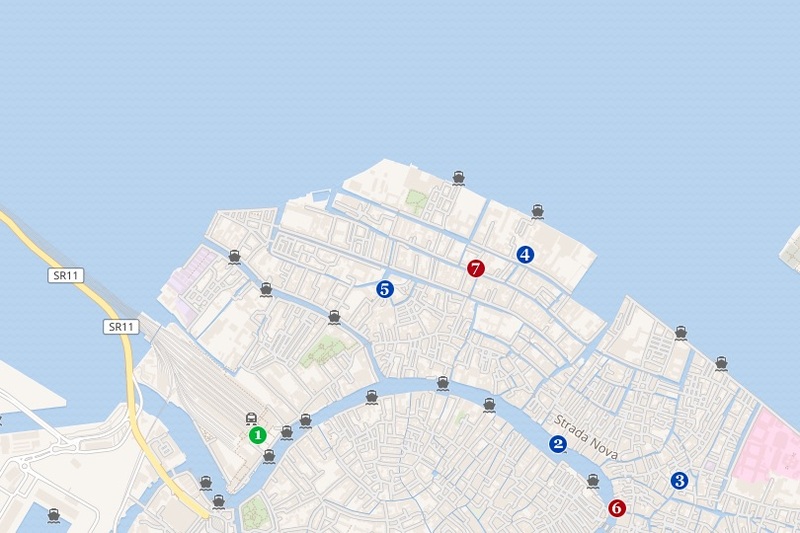 However, there are no bridges connecting Giudecca to any other districts in the city. 1 San Giorgio Maggiore – A 16th-century Benedictine church on an island of the same name, across from St. Mark’s Square. On the island you will see one of the best views of Venice and a stunning example of Renaissance architecture. 2 Il Redentore church – Commissioned by the city in thanks for being delivered from the great plague of 1575–77, the church was designed by Andrea Palladio and it is one of the absolute masterpieces of Renaissance architecture. 3 Casa dei Tre Oci – This fanciful neo-Gothic house was once the home of early-20th-century artist and photographer Mario de Maria. 4 Hilton Molino Stucky Venice Hotel – Looking to see Venice from a different perspective? The Hilton Molino Stucky Venice Hotel does that. This luxury 379-room property has a stunning rooftop swimming pool that provides unique views of this very romantic city. The hotel is located in a former flour mill, but you’d never guess it from the luxe restoration. The Hilton Molino Stucky Venice Hotel has the largest meeting center and second largest spa in the city. It also has multiple onsite bars and restaurants. 5 Palladio Hotel & Spa – The Palladio Hotel & Spa has a subdued and elegant feel, as befitting its former status as a 16th century convent for unmarried women. It was designed by Andrea Palladio, who is considered the greatest Renaissance architect. If it’s pampering you’re after, the 5-star hotel’s spa is considered the best in Venice. Guest rooms feature understated yet elegant furnishing. All rooms have a view, from the hotel’s courtyard to the city and the Venice Lagoon. The hotel has an onsite fine dining restaurant. Four romantic gardens complete the complex. 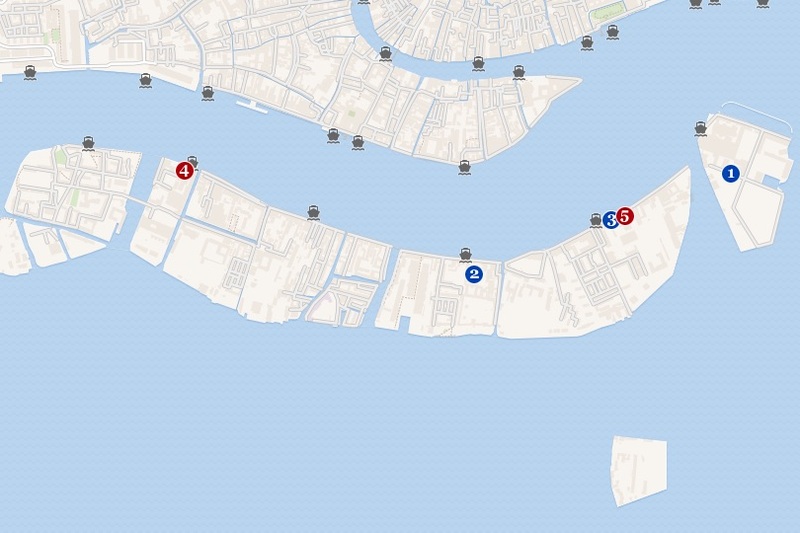 By virtue of being an island, Giudecca can feel isolated. While public transport exists to get from Giudecca to central Venice, it is certainly not as easy as walking to major attractions. Although Giudecca provides a glimpse at normal, working-class life in Venice, it might not be the magical, romantic experience you’re hoping for. If you just want to experience the highlights that Venice has to offer, stick to the central islands instead. 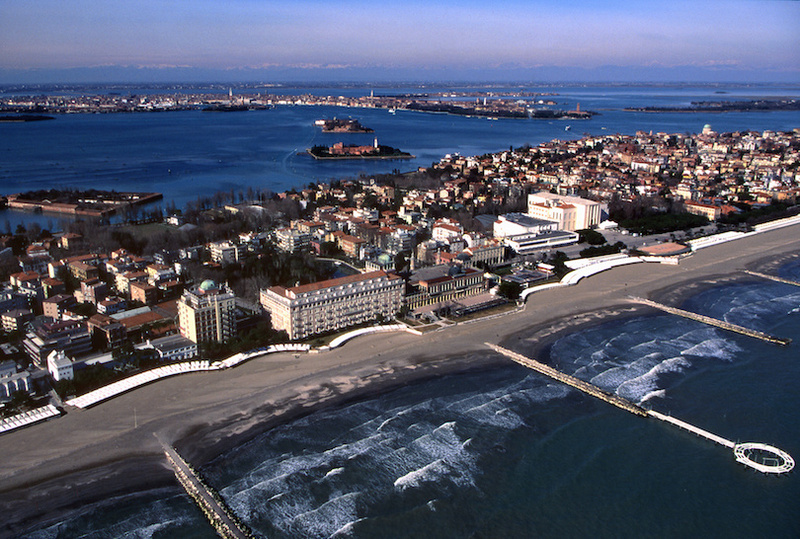 Why Stay in Lido di Venezia? 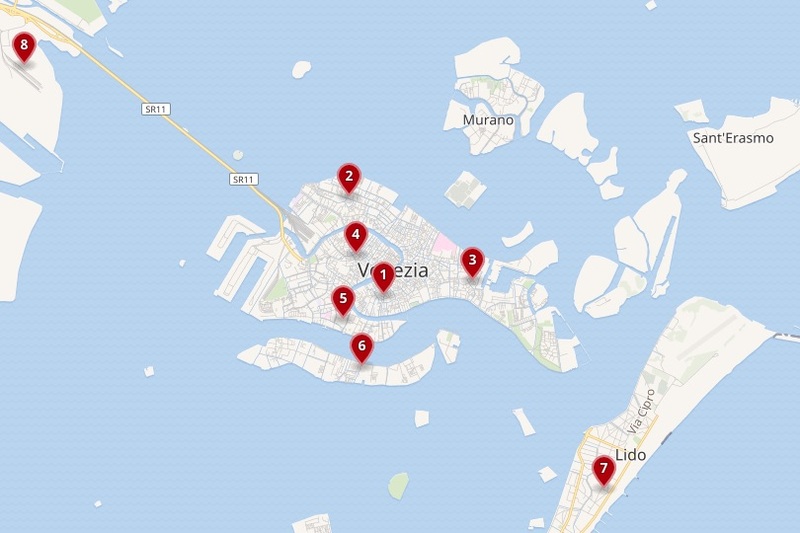 The Lido di Venizia is a long, thin island that serves as the beach for Venice. You can walk along the shore for nearly six miles, a wonderful option for outdoor enthusiasts that start to feel cramped when surrounded by buildings in the lagoon for too long. During the day, Lido is a tourists’s dream. You can lounge in chairs right by the water and admire the tide coming in, or you can sip cocktails at chic cafes with views of the sea. Lido is also home to a number of glass blowing workshops, allowing you to see these artistic masters in action. The Lido di Venezia is a top pick for celebrities and those in the entertainment business thanks to the annual Venetian Film Festival. Even when the film festival crowd is long gone, the Lido still caters to high-end travelers. You’ll be able to find beachfront resorts and spacious rooms that simply aren’t available in central Venice, where space and real estate is at such a premium. 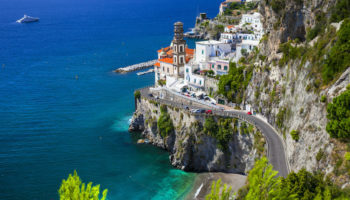 Since Lido is such a beach-oriented place, seafood restaurants are on every corner, and foodies love being able to nibble on everything from squid ink pasta to fried balls of minced fish called polpette. 1 Grand Hotel des Bains – Built in 1900 to attract wealthy tourists, it is remembered amongst other things for Thomas Mann’s stay there in 1911, which inspired his novella Death in Venice. In 2010, the hotel was closed to be converted into a luxury apartment complex. 2 Hotel Excelsior – The Hotel Excelsior has something you won’t find in too many Venetian hotels: a private beach. It also has a beachside pool, sunbathing or lounging facilities, and a place to eat. The hotel is housed in a much newer building than many other hotels in Venice, one that dates back only to the 19th century. Both the exterior and interior are done in Moorish style, with lots of blue used, and centered around a Moorish courtyard. Its 197 guestrooms have views of the sea, the lagoon, the courtyard or Venice. 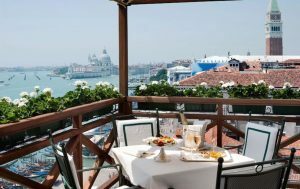 3 Hotel Panorama – You’ll definitely arrive via water if you stay at the Hotel Panorama since it’s located on Lido island, thus allowing you to relax away from the hustle and bustle that is Venice. Located in a restored early 18th century building so you’ll have all the modern conveniences, the décor is in warm, relaxing tones. The hotel has only 22 rooms, with elevators to take you to them. During the warmer months, a breakfast buffet is served on a second floor terrace. The hotel also has a small bar; restaurants are nearby. 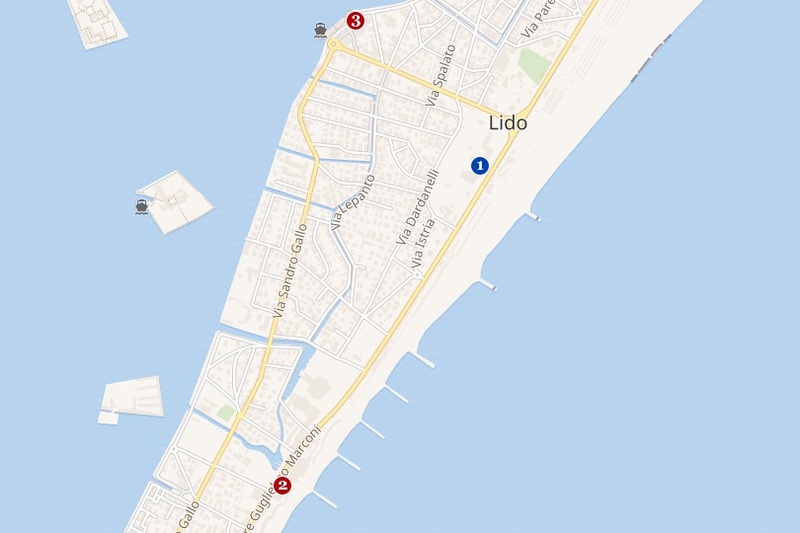 Depending on the season, the Lido de Venezia can have two very different atmospheres. At the peak of summer, the Lido is busy and vibrant, with tourists from Italy, Europe and rest of the world filling the countless hotel rooms. In winter, however, many of the seasonal hotels, shops and restaurants close. This can make the district feel like a ghost town rather than the beach paradise it can be. Plus, cooler weather in the winter can prohibit a lot of water activities, limiting the appeal of staying right on the beach while visiting Venice. The district of Mestre may be within the official city limits of Venice, but it is actually a part of the Italian mainland. Mestre is a great place to stay for those who want to be as close to the Venetian islands as possible without actually staying there overnight. If you are traveling through Europe with a car, Mestre is preferable for overnight stays thanks to affordable and plentiful parking spots, which are a rare commodity elsewhere in Venice. Getting to the iconic landmarks and destinations in Venice is a breeze from Mestre thanks to the availability of buses, trains and even trams that run straight across the Ponte della Libertà to the Piazzale Roma in Venice. Mestre is also a desirable spot for travelers who are on a budget. 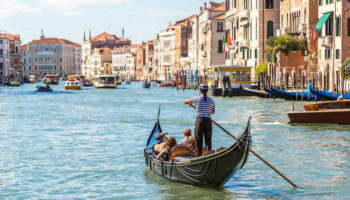 During peak times of year in Venice, such as during the annual film festival, the Voga Longa rowing competition or the Carnival of Venice, hotel stays can be incredibly expensive. 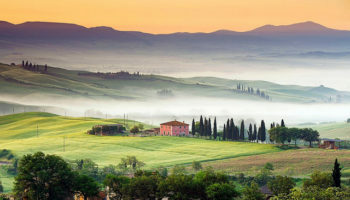 In Mestre, accommodation is far more affordable. 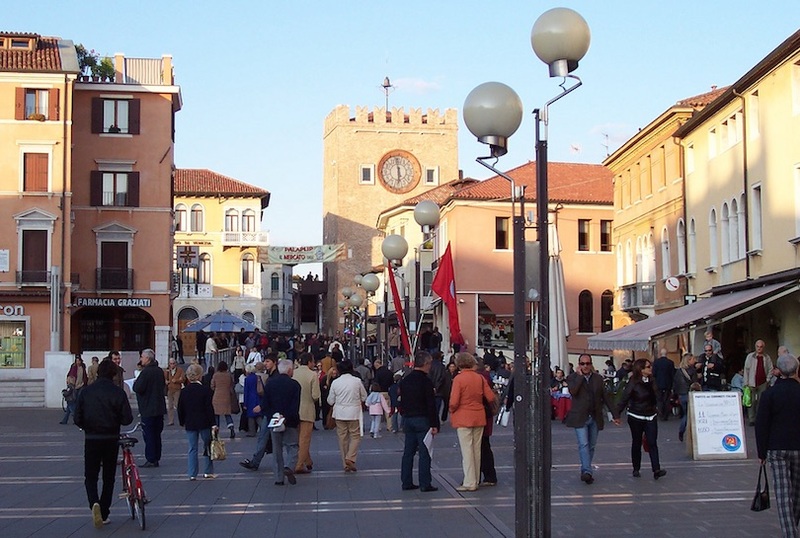 Mestre is also home to the Piazza Ferretto, the district’s central plaza where you can shop for Italian designer clothing or dine on local cuisine. 1 Venezia Mestre – A railway station on the Venetian mainland, near the railroad bridge that leads to Venice’s historic center. 2 Piazza Ferretto – Mestre’s counterpart to the Piazza San Marco, minus the famous landmarks, tour groups and pigeons. 3 Centro Le Barche – An enclosed shopping mall on the Piazzetta Coin in the center of Mestre. 4 Parco San Giulliano –A brand new park that faces the skyline of Venice. 5 Hilton Garden Inn Venice Mestre San Giuliano – There’s nothing old about the Hilton Garden Inn. It’s modern from head to toe, inside to out. Both exterior and interior decor is sleek and contemporary. The terrace boasts a large outdoor pool and cocktail area. Located not too far from the airport, the hotel has a restaurant, a fitness center and 136 rooms with soothing décor that offers a respite from the ornate and lavish styles you’ll find in the historic hotels. 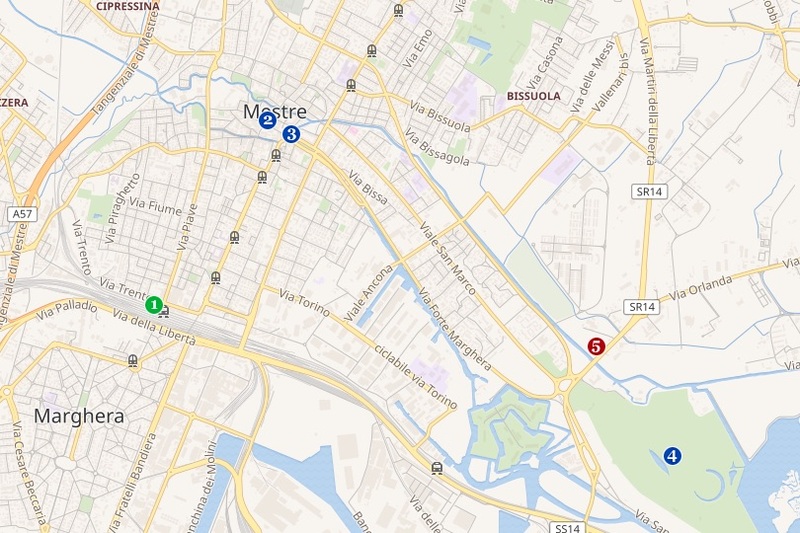 Mestre is not known for its world-class attractions, so staying in the region won’t allow you to walk to any important landmarks. 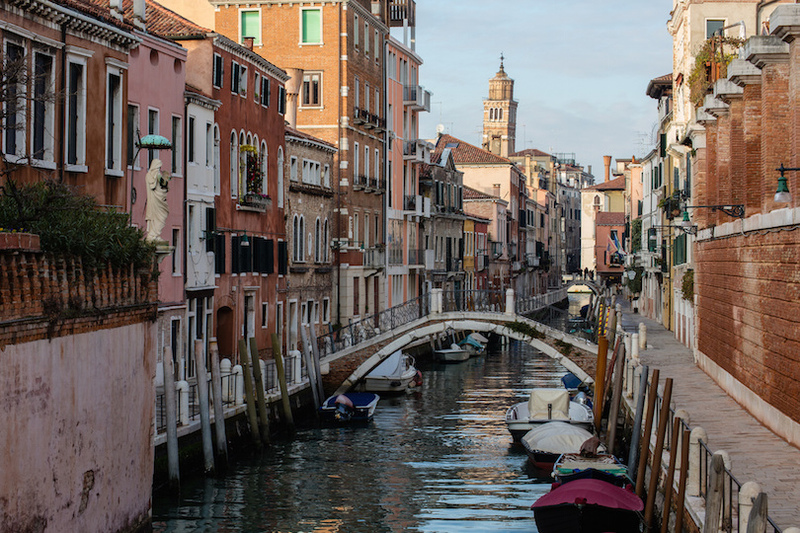 In addition, staying overnight in Mestre means you might miss out on the nightlife of Venice, not to mention the scenic early mornings as the sun hits the lagoon. Mestre is just minutes from the central Venetian islands, but it has a distinctly different atmosphere and may not deliver on the expectations you have of the romantic, waterfront city of Venice. 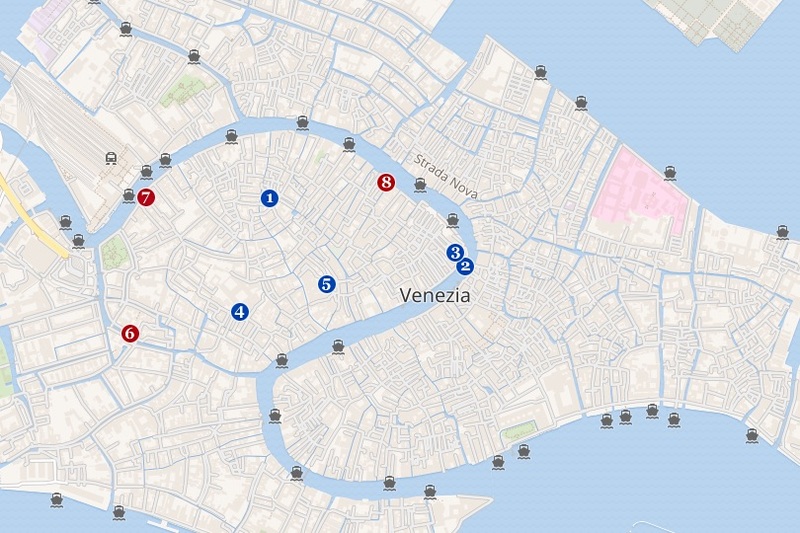 What a brilliant guide to Venice. The best and most honest I’ve come across. A must for anyone planning at trip there.